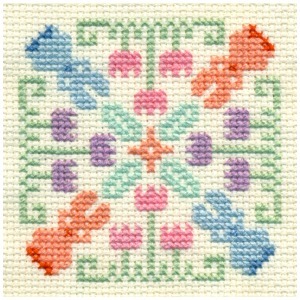 I hope you enjoy stitching these Holiday cross stitch patterns as much as I enjoyed creating them. 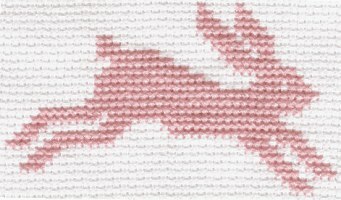 I continue to add patterns on a regular basis, so please check back by for more free cross stitch patterns soon. Finished size on 14-count aida is approx. 1" x 1". Click Here for black & white printable pattern. 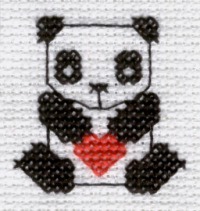 When stitched on 11ct aida, each heart measures about 1-1/4" wide by 1" tall. The pattern shows basic heart outline, lace border and 4 different fills. Click Here for color printable pattern. This pattern can be stitched to fit any project. click for larger image Finished size on 12 count aida is approx. 2-1/4" square. with stitching and the main design elements are left unstitched. 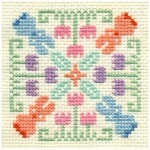 For more Assisi style patterns, please visit my Assisi page. click for larger photo Finished size on 14-count aida is 1-1/2" x 1-1/2". click for larger image Stitches = 41 x 41. Finished size on 14 count aida is about 3" x 3". Click Here to visit pattern page. click for larger image Finished size on 14 count aida is approx. 1-1/4" x 1-3/4". Click Here for color pattern. 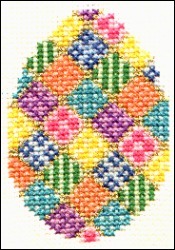 click for larger image This image measures 1-1/2" wide by 1-1/8" tall when stitched on 11ct aida. 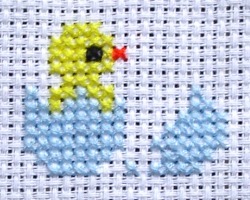 This quick and easy pattern has no half or quarter stitches and only minimal outlining. Finished size on 14 count aida is 2-1/4" x 3-1/4". Click Here to go to pattern page. Click Here for black & white pattern. Finished size on 14 count aida is 1-1/8" x 1". Finished size on 14 count aida is 2-1/4" x 2-1/4". 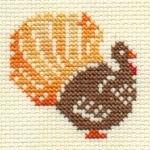 Shown stitched with variegated floss, but I have also included a sihouette turkey pattern. Click Here for pattern page with variations.